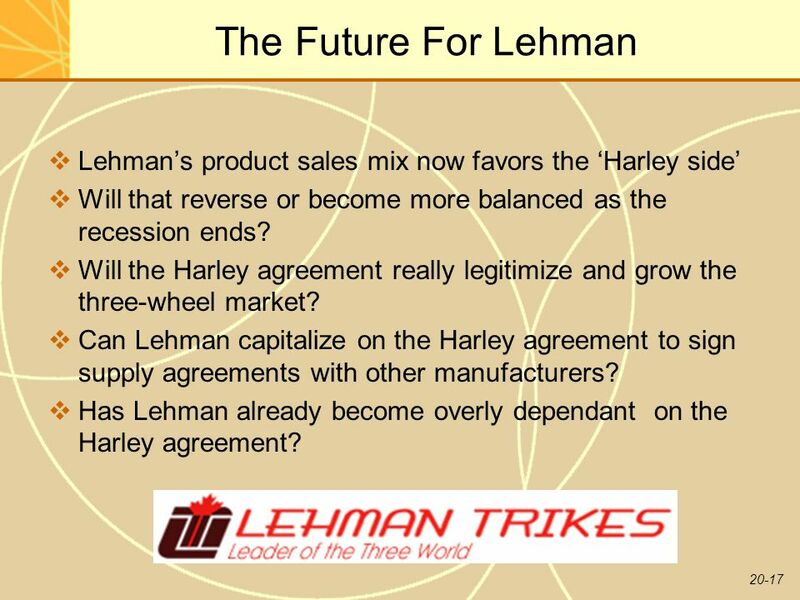 17 The Future For Lehman Lehman’s product sales mix now favors the ‘Harley side’ Will that reverse or become more balanced as the recession ends? 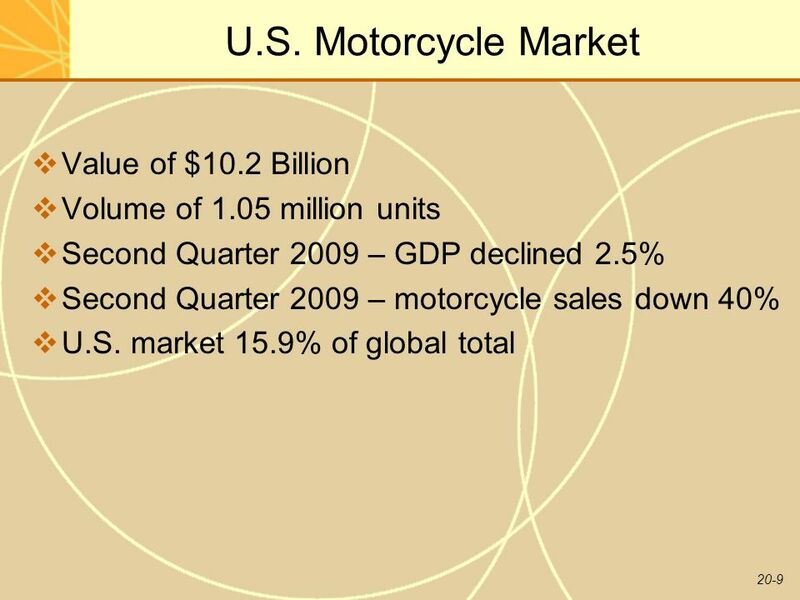 Will the Harley agreement really legitimize and grow the three-wheel market? 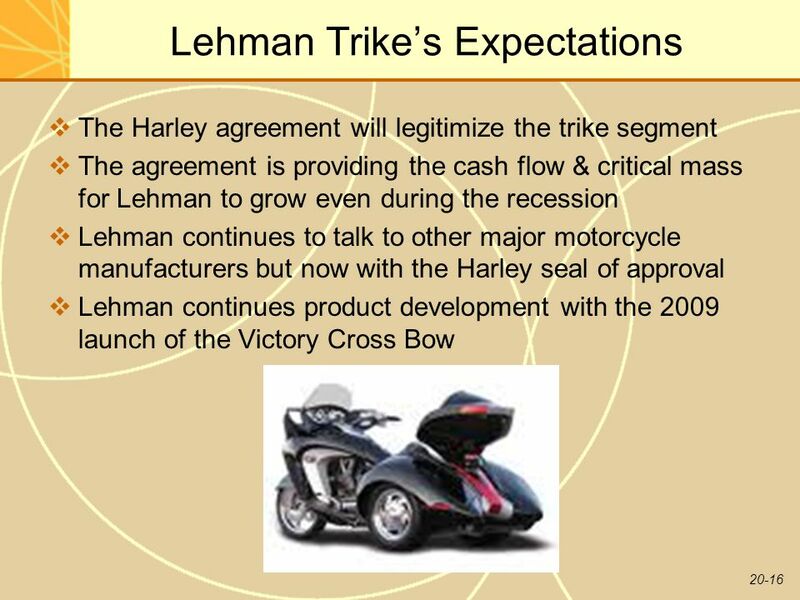 Can Lehman capitalize on the Harley agreement to sign supply agreements with other manufacturers? 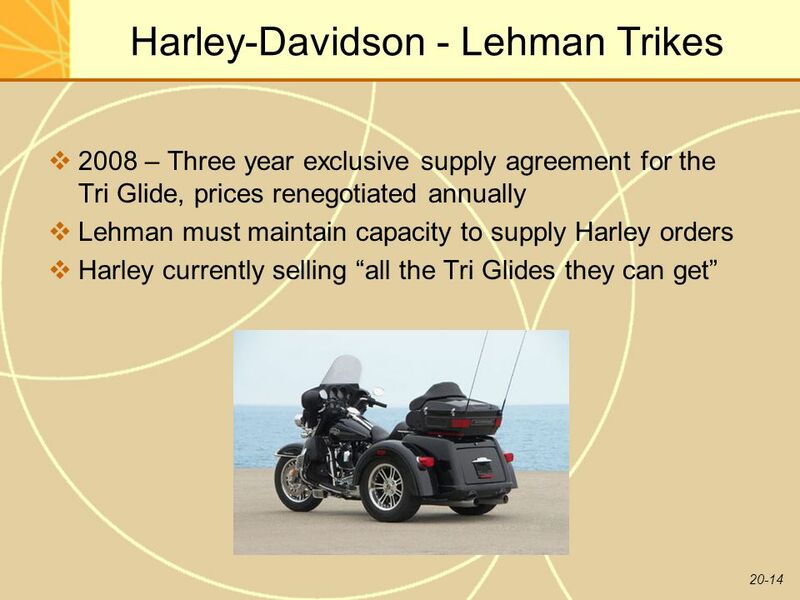 Has Lehman already become overly dependant on the Harley agreement? 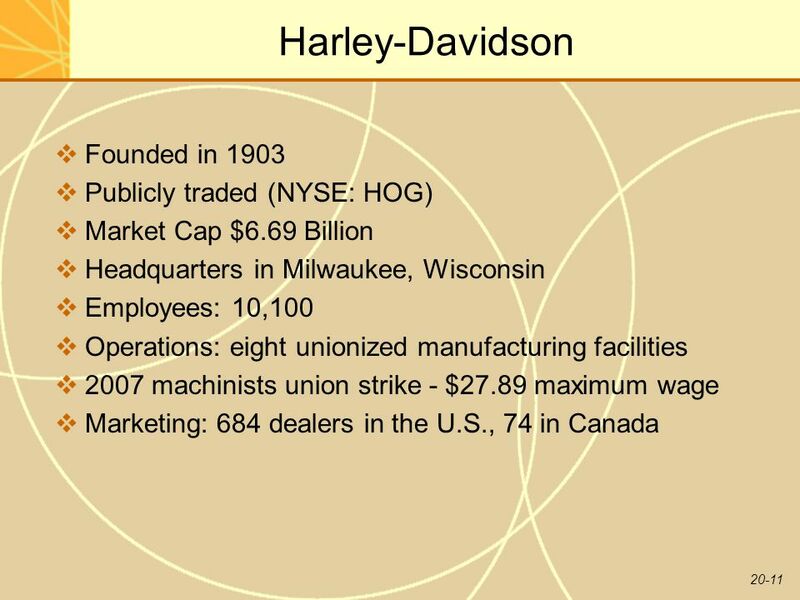 18 The Future For Harley With Harley’s ongoing financial difficulties are they at all focused on the developments in the trike market? 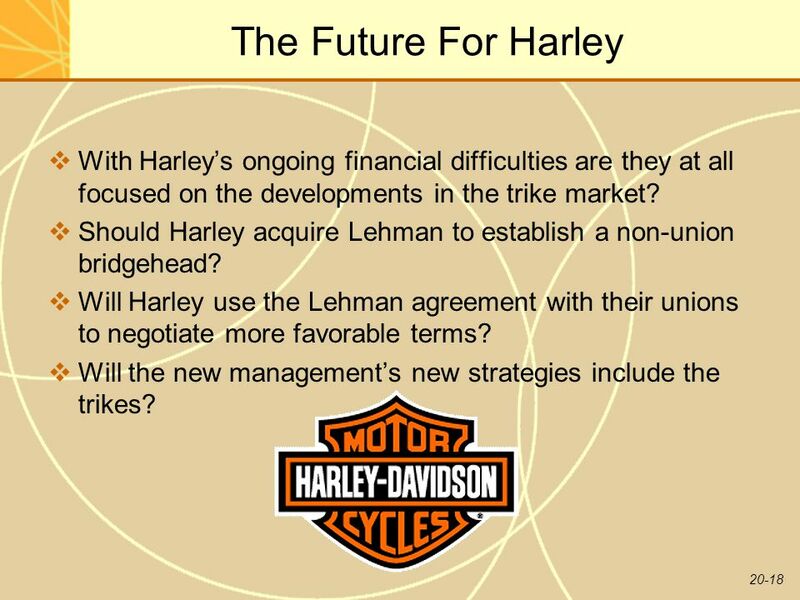 Should Harley acquire Lehman to establish a non-union bridgehead? 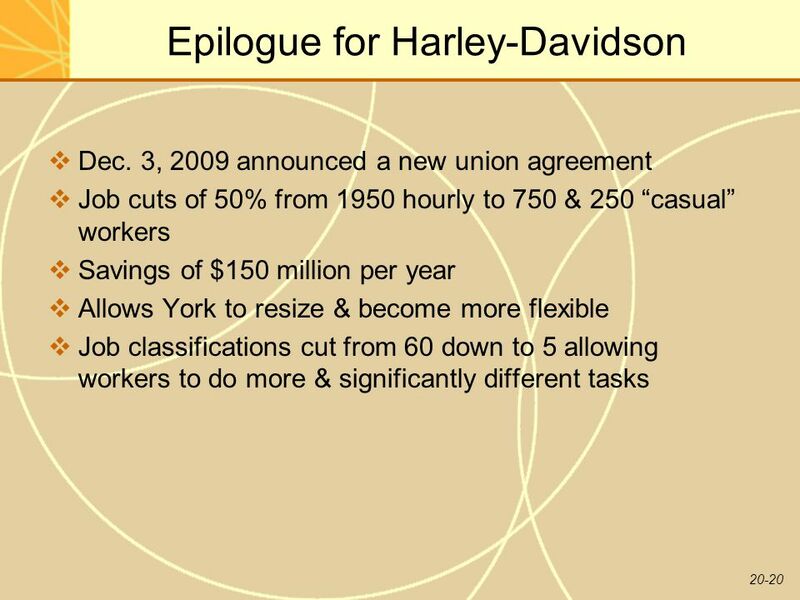 Will Harley use the Lehman agreement with their unions to negotiate more favorable terms? 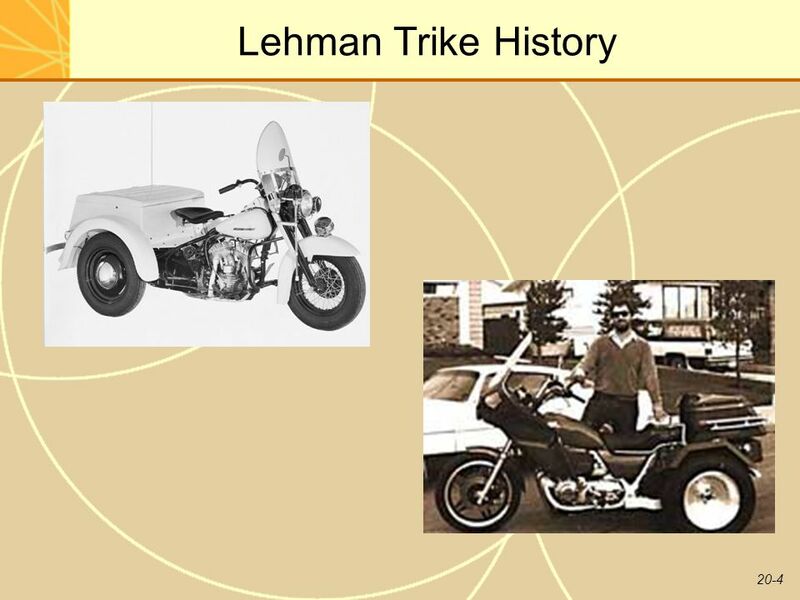 Will the new management’s new strategies include the trikes? 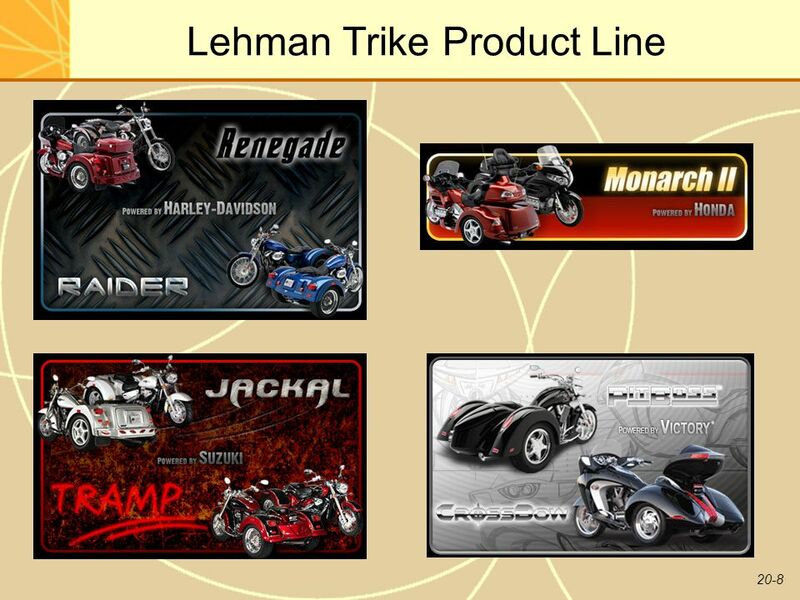 Jan. 16, 2010 H-D announced Lehman will no longer assemble their trikes after 2010. 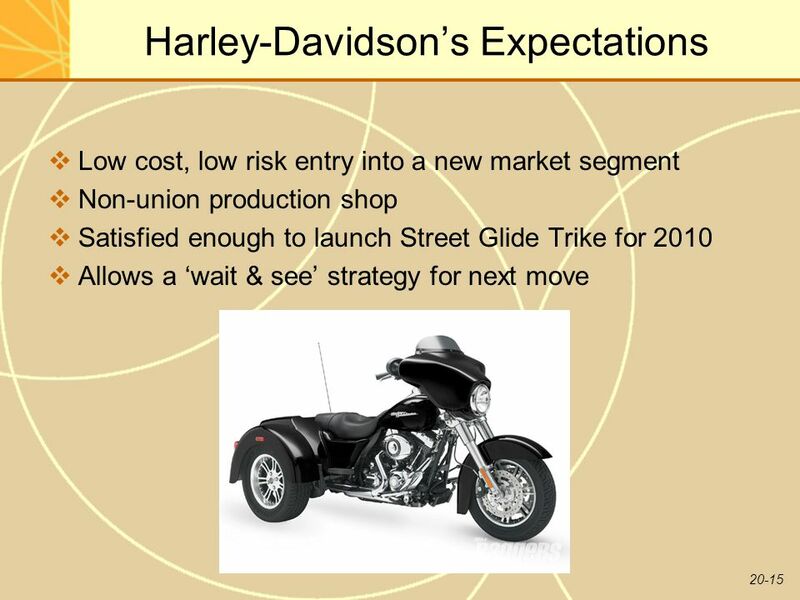 H-D announced moving trike assembly to York, PA plant. 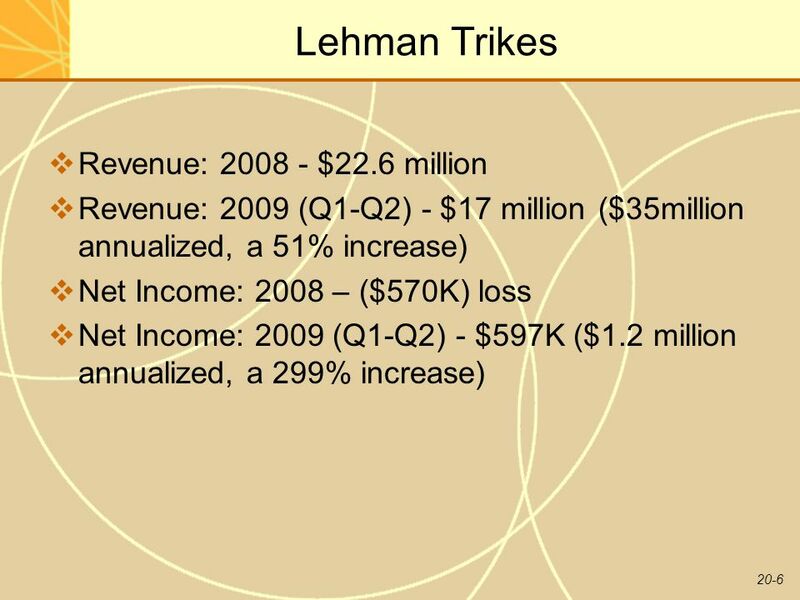 Can Lehman effectively restructure to reflect loss of over half their volume? 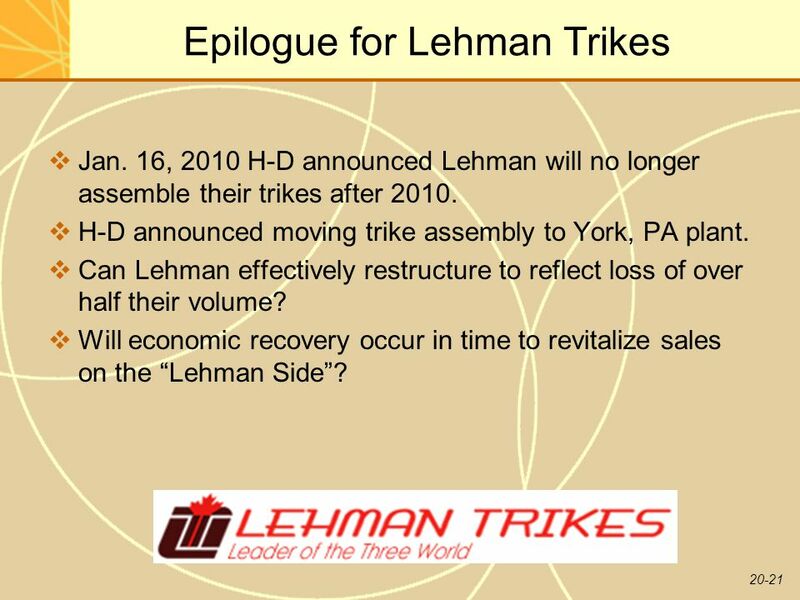 Will economic recovery occur in time to revitalize sales on the “Lehman Side”? Download ppt "Black Hills State University"
Metropolitan Transportation Authority July Financial Plan Board Presentation July 24, 2013. 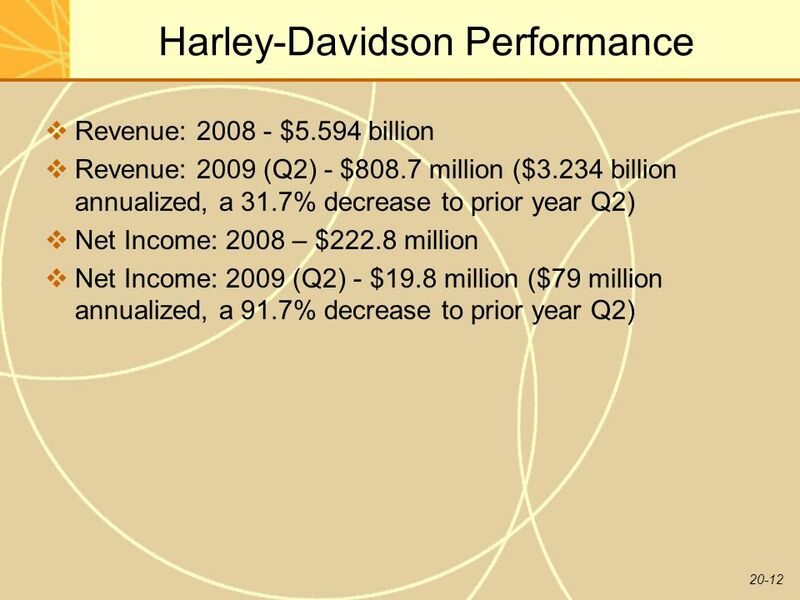 April 28, Atlas Copco Group Q1 Results April 28, 2010. Oslo, 13th. February 2008 Eirik S. Larsen, CEO Kari Duestad, CFO REACHING FURTHER THROUGH PEOPLE AND INNOVATION Comrod Communication ASA Q4 Presentation. 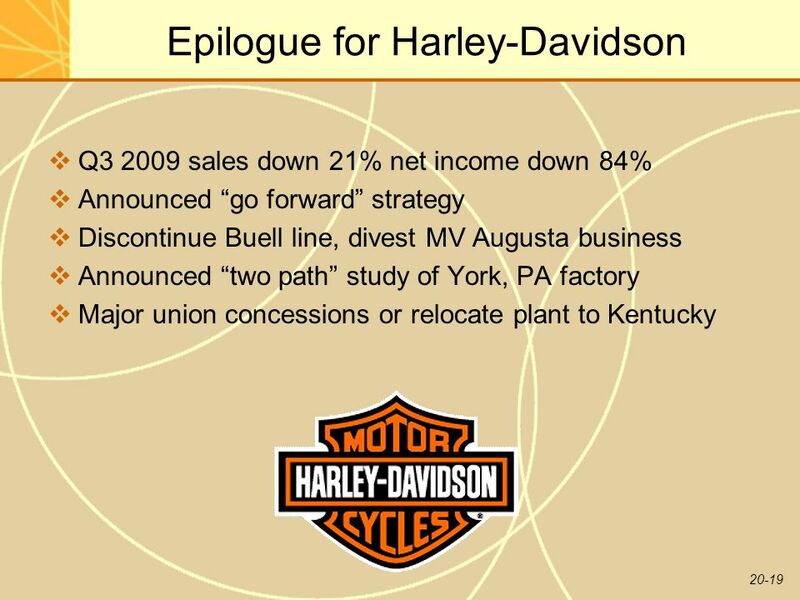 Superior Industries International 4 th Quarter 2008 Results Earnings Conference Call February 26, 2009. Welcome to the results presentation of the Metmar Limited financial year end results for the period ended on 28 February / 06 May 2014 Metmar Results. 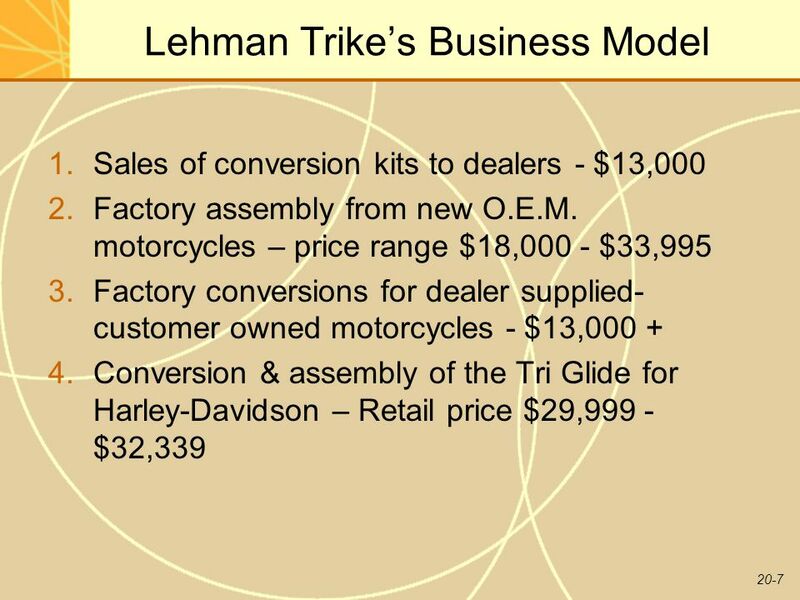 PRESENTATION VISUAL-STRAT BUSINESS GAME. CAPTURING THE GLOBAL MARKET A unique product manufactured in Europe... 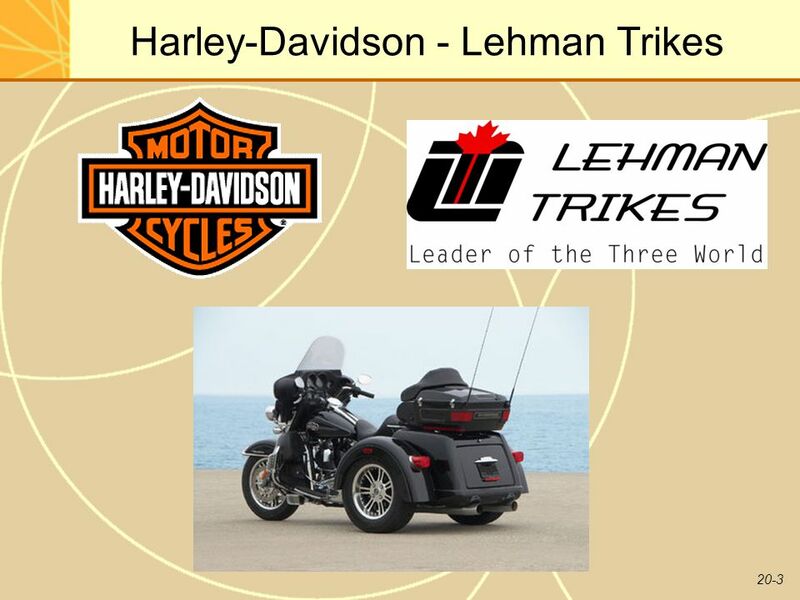 The Motorcycle!! 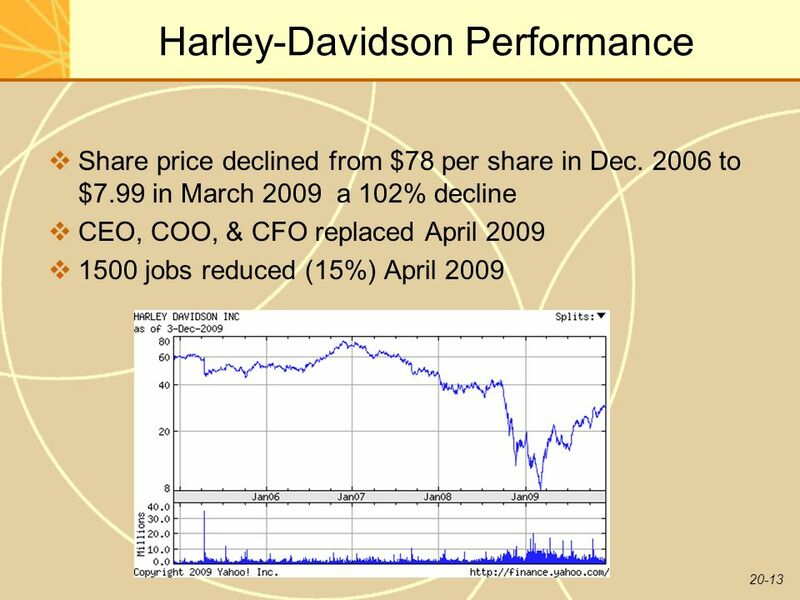 © The McGraw-Hill Companies, Inc., 2002 McGraw-Hill/Irwin Operational Budgeting Chapter 22. 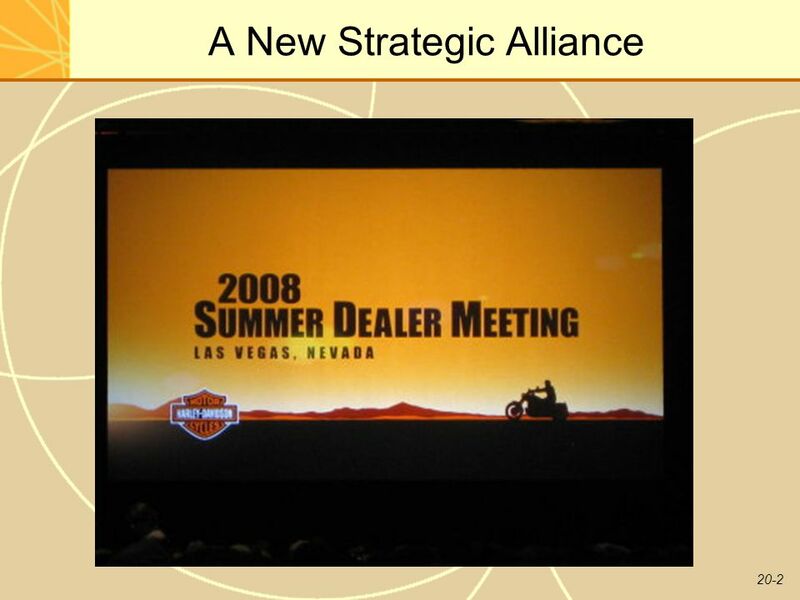 April 27, Atlas Copco Group Q1 Results April 27, 2006. Learning Objectives 1. 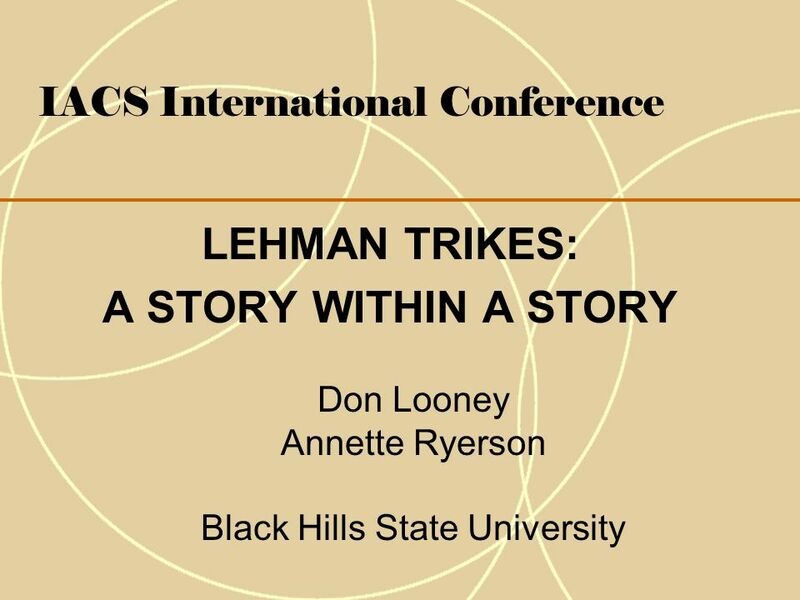 Describe the recording and reporting of various current liabilities. 2. 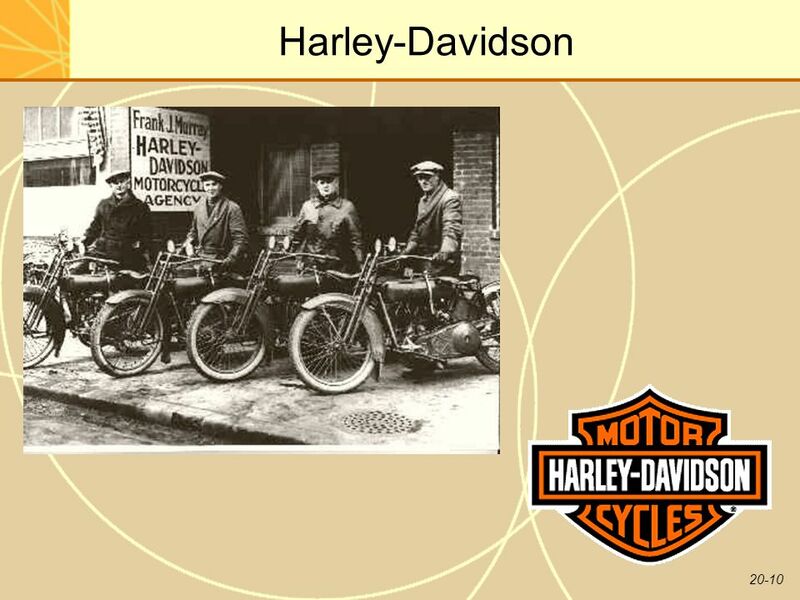 Describe the reporting of long-term liabilities and the. Networks Global Union Network Brussels, March 2006. FUTINAL Conference 5-7 December 2006 Praia Grande/SP, Brazil Michael Wolters, ICEM Chemical and Rubber Industry Officer. 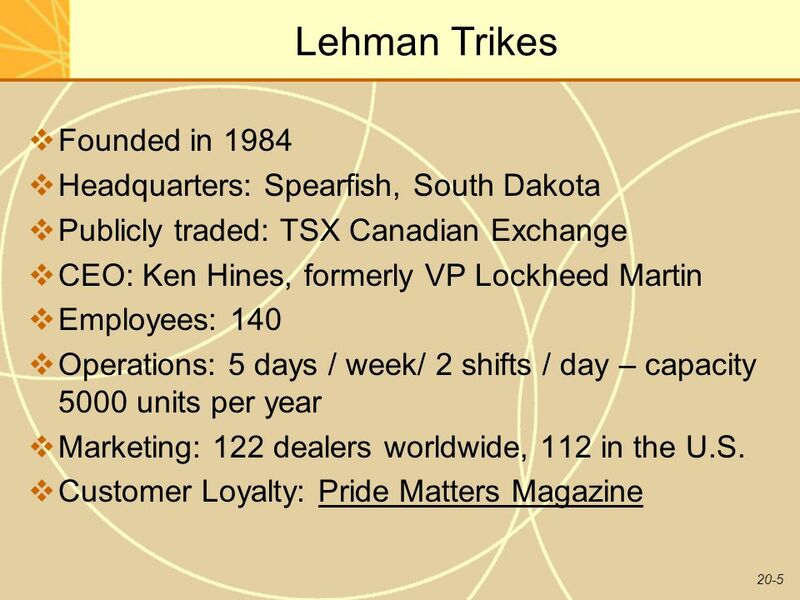 1 Thomas Weisel Partners Tech2003 Conference VeriSign Company Overview Dana Evan, CFO February 2003.